This is one of those things that “everybody knows” but I don’t find out about until years later (like pushing Windows-L to lock the workstation). 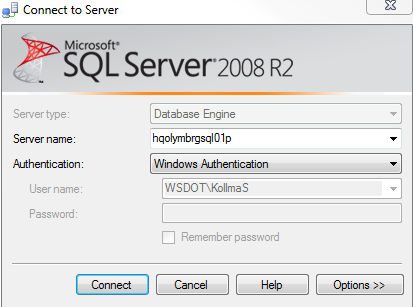 If you have access to various environments in SQL (dev, multiple test/QA machines, and production) sometimes there can be fear: am I connected to the correct server? I often stop and re-read the connection information to be sure I’m on the right server before I execute a command that could be particularly troublesome. I intentionally minimize my permissions in production to help reduce this, but there are still some permissions that exist; and some folks have more production permissions because they change it frequently. So, here’s an easy way to help reduce anxiety. 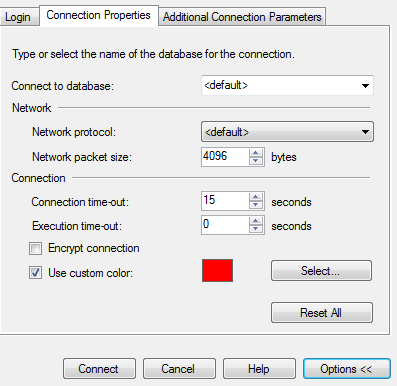 In SQL Management Studio 2008 and above, you can set custom status bar colors depending on which server you are connected to. Very easy. Then, you can check the box to show a custom color. SQL Management studio will save this value, and for all new query windows that are opened, will highlight the bottom status bar if that server is connected. An easy way to “warn” yourself if connected to a shared environment, and a quick confidence to know when you’re connected to a local dev environment only.